Have you ever heard of a “tintamarre”? It is an Acadian tradition of marching through a community while making noise with improvised instruments. As you know, I am francophone. I grew up immersed in the franco-ontarien culture and traditions and I take great pride in offering this gift to my children. Every year, in June, our little francophone school hosts a fun day and we have a “tintamarre” in the streets of our small community. It’s our way of showing how proud we are of being francophone and that we are here to stay! Through the school year, we hold fundraisers to raise money for this day (which keeps getting bigger and bigger every year!). During the week before the “tintamarre”, students make instruments, noise makers, costumes and banners. We invite other francophone schools from the area to join us and the day starts with a gathering in the school gym, where we sing songs and dance. It’s like a pep rally. 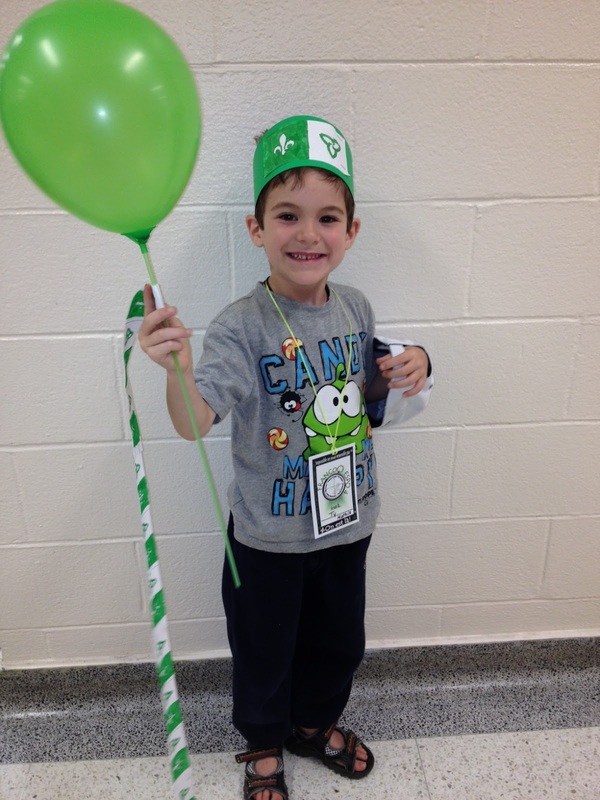 When everyone is ready, we leave the school as a giant parade, carrying our green and white franco-ontarien flag. 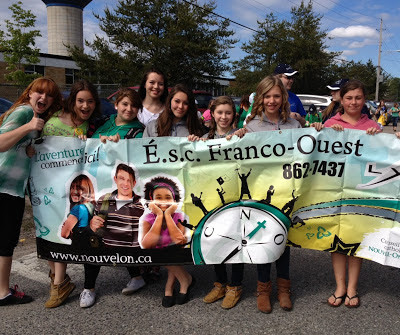 This is the day when the entire francophone community of our little town gets together and proudly waves, smiles, laughs, chants and sings in the streets. My daughter and her friends, holding the banner of the high school they will be attending next year! My son Ty, ready to have fun! 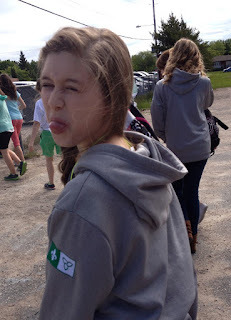 We then spend the day outdoors, listening to great francophone music and partying. 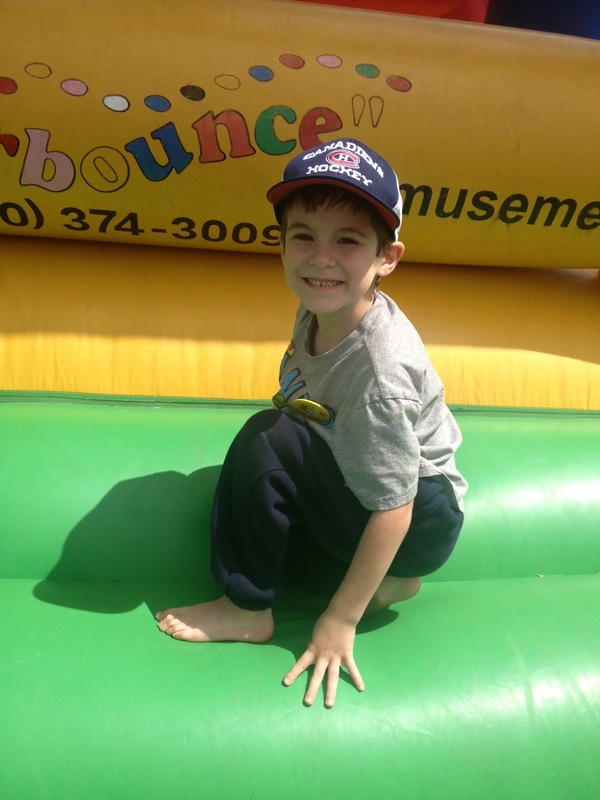 There are several inflatable castles and bouncy lands for the kids (young and old), a BBQ, face painting, and tons of treats. It’s the ONE day where there are NO ABSENCES and NO TARDIES at school! I’ve lived my entire life as a minority because French is my first language and because I choose to keep living my life in French as much as possible in my exogamous family. 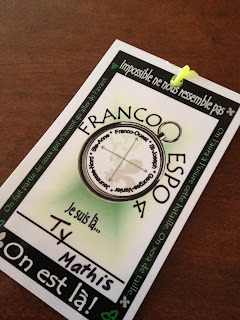 It makes me teary-eyed every time when I see and hear my own kids proudly display their francophone roots! This year, our theme song was “On est là!” by M. Pokora. Out of all the music my daughter listens to on her iPod, this is one of her favourites lately, and it makes me smile every time. To me, it’s more than just another French song.